Washington/Islamabad Oct 22 —President Barack Obama met Pakistan’s prime minister, Nawaz Sharif, at the White House on Thursday. 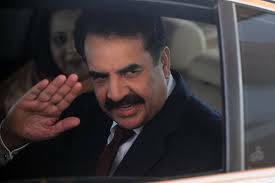 But next month, top American officials will hold talks with the man many people say calls the shots on the issues Washington cares most about: Gen. Raheel Sharif. The improvement in Pakistan’s security situation is stark, though attacks continue —including a bombing Thursday in the southwest that killed 11. Still, the number of civilians and soldiers killed in terrorist attacks is on track to be lower this year than at any time since 2006, according to the South Asia Terrorism Portal, which tracks casualties. That has helped spark an economic rebound. Gen. Sharif, who is due to step down in November 2016, declined to comment. Pakistani politicians and political analysts, however, say the military’s sway has grown. Earlier this year, military courts were set up to try civilians for terrorism, while the military sits on new “apex committees” that oversee internal security issues across the country. Current and former U.S. officials said they believe the prime minister had ceded control over certain security matters to Gen. Sharif, while the prime minister focused on the economy and other issues. They said the prime minister appeared comfortable with the division of labor and that Gen. Sharif had been “supportive” of civilian institutions. In a recent meeting in Rawalpindi, Gen. Sharif told a visiting U.S. delegation how important it was to him “not to be seen as the main power” in Pakistan, according to a U.S. official who was present. The prime minister’s visit comes as the administration moved to finalize a long-standing plan to sell up to eight additional F-16s to Pakistan, aimed at bolstering Pakistan’s counterterrorism campaign against militants..
Officials said Thursday’s meeting between Mr. Obama and the prime minister, in the absence of Gen. Sharif, was meant to highlight the importance the White House places on empowering Pakistan’s civilian government. After the meeting, a joint statement said that the two leaders “reaffirmed that a mutual commitment to democracy is a key pillar of the U.S.-Pakistan partnership.” But given the country’s history and the role of the armed forces, U.S. officials said a transition to civilian leadership in all matters of state would take time. In the meantime, “the U.S. can’t want something for the civilians more than they want it for themselves,” a senior administration official said ahead of the meeting. A 59-year-old infantry officer and former commandant of Pakistan’s military academy, Gen. Sharif has won widespread approval for moving authoritatively where previous Pakistani leaders, military and civilian, have dithered. The extent of the general’s popularity in Pakistan has prompted intense speculation that his term as army chief could be extended. Last year, he opened a new front in the fight against extremists with an offensive in North Waziristan, a region along the Afghan border that was a haven for Pakistani Taliban, Afghan insurgents and al Qaeda—a move long advocated by the U.S. and initially opposed by the prime minister. Army-led forces have also led a bloody fight against jihadists and criminal gangs in the country’s commercial capital, Karachi. The campaign has won Gen. Sharif plaudits, despite its reliance on what human-rights groups say are hundreds of extrajudicial executions. When Afghan President Ashraf Ghani made his first visit to Pakistan after being elected last year, he drove straight from the airport to see Gen. Sharif at his headquarters in Rawalpindi—before going to nearby Islamabad to meet the civilian leadership. Officials in Washington, Kabul and New Delhi, however, also accuse the defense establishment headed by Gen. Sharif of continuing what they say is Pakistan’s policy of giving haven to the Afghan Taliban and other militant groups, and using them as proxy warriors in Afghanistan and India. The U.S. has warned Gen. Sharif that it will withhold $300 million in military aid if Pakistan doesn’t do more to curb the Haqqani network, an insurgent group allied with the Taliban that is responsible for a series of recent deadly attacks in Kabul. The U.S. sees the Haqqanis as an arm of Pakistan’s military intelligence agency. A Haqqani was named as the new deputy chief of the Taliban at a meeting held in Pakistan earlier this year. The Pakistan army maintains it is taking on all militants. “We are against use of proxies and won’t allow it on our soil,” Gen. Sharif said this month in London, according to his spokesman. President Obama said last week that the U.S. is keen for Pakistan to use its influence on the Afghan Taliban to advance peace talks between the militants and the Afghan government. U.S. and Afghan officials say Gen. Sharif was the force behind a brief breakthrough in the Afghan peace process earlier this year, when a group of senior Taliban were brought to meet Afghan government representatives just outside Islamabad. In the 90-minute White House meeting President Obama “highlighted the opportunity presented by Pakistan’s willingness to facilitate a reconciliation process that would help end insurgent violence in Afghanistan”, according to the joint statement. The U.S. has also been engaging in exploratory talks with Pakistan about a possible deal to limit the country’s growing nuclear-weapons program, seen as especially risky because of the country’s history of political instability and jihadist attacks on military installations. However, after the White House meeting a senior Pakistani official said that Mr. Sharif told the U.S. president that Pakistan would not give up its tactical nuclear weapons —a newly developed addition to the country’s arsenal that is a particular concern for the Wasington—as long as the threat of invasion from India remained. When Prime Minister Sharif was elected in May 2013, many believed it was a time when civilians could assert themselves and that military leaders, then criticized for inaction against terrorists, would be pushed into the background. In a sign of his intention to run foreign and defense policies, Nawaz Sharif kept both those portfolios for himself after election; he is still has no foreign minister. The prime minister started peace talks with insurgents in North Waziristan. He also made overtures to India in an effort to ease strained ties. And he moved forward with treason charges against Pervez Musharraf, an army coup leader who also served as president. By mid-2014, however, the political ground was starting to shift, and the prime minister pushed the military hard on issues it saw as its domain. 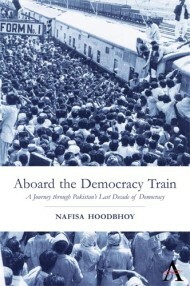 The prosecution of Mr. Musharraf was derailed after the military stood by its former leader. After an attack on Karachi’s airport, Gen. Sharif, who had promoted counterinsurgency doctrine when he was the army’s training head—focusing the army’s targets toward terrorists rather than its traditional enemy, India—launched military operations against militants in North Waziristan in June 2014. Later that summer, Pakistani cricket player-turned-politician Imran Khan and his supporters started a sit-in protest against alleged vote-rigging in the election that propelled Mr. Sharif to office. The demonstrations paralyzed the capital, calling for the military to intervene and unseat Mr. Sharif. Some members of Mr. Sharif’s cabinet accused military intelligence agents of fomenting the protests, something the military and Mr. Khan’s party deny. The army chief backed Prime Minister Sharif. But the price, some senior government officials say, was high: the prime minister agreed to relinquish some powers, letting the military take charge of defense and foreign policy.